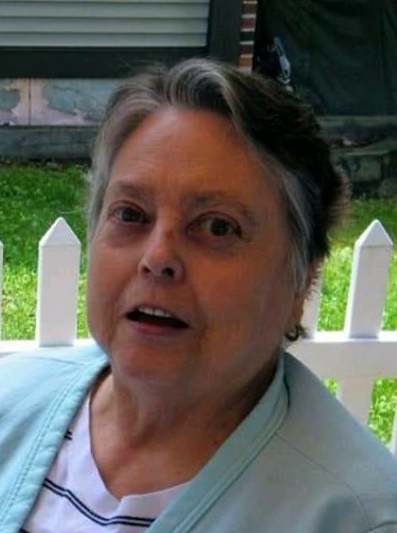 P oultney, Vt. – S hirley A. Sumner, 80, passed away unexpectedly at her home in Poultney on Thursday evening, March 28, 2019. She was born on June 24, 1938 in Granville, N.Y., the daughter of Harold J. and Dorothy M. (Matteson) Dennison. Shirley was married to John Sumner who passed away in August of 1987 at the age of 52. Following his death, she eventually met the companion whom she has spent the past 31 years with, Charles “Bub” Pope. Shirley was very outspoken on her views and beliefs. As a friend or foe, you would always know where she stood on matters. She was an avid collector of Elvis memorabilia. She also collected many cardinal and cow items that she would display throughout her home. She enjoyed watching her soaps on television. She was well known for making friends immediately wherever she went. Most of all, she enjoyed spending time with her family and her granddaughter “Dezi”. Besides her parents and her late husband, she is predeceased by three brothers, John, Clarence and Robert Dennison. She is survived by her son Jeffery S. (Lisa) Sumner of North Granville, N.Y., her granddaughter, Deziraeh Sumner of North Granville, her companion of many years, Charles “Bub” Pope of Poultney, her brother David (Carol) Dennison of Wells, Vt. and her sister, Jessie (John) Ayers of Kennebunk, Maine and several nieces, nephews and cousins. Services will be conducted on Sunday, April 7th, 2019 at 6:00pm at the Truthville Baptist Church in Truthville, N.Y. with Reverend Kevin Gebo, pastor officiating. Friends may call from 4:00pm until the time of the services at 6:00pm at the church. Burial will be held at a later date in the Mountainview Cemetery in West Pawlet, Vt. Arrangements have been entrusted to the Michael G. Angiolillo Funeral Home, 210 Broadway, Whitehall, N.Y. 12887. To leave an online condolence, please visit the funeral home’s website at: angiolillofuneralhome.com.